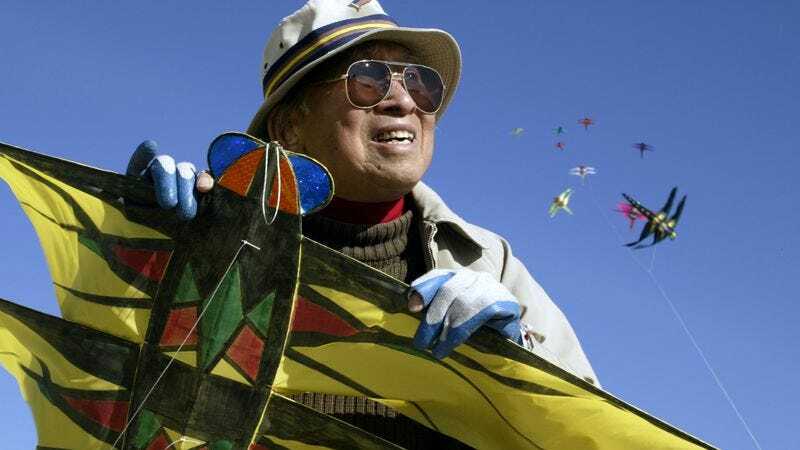 According to The New York Times, classic Disney and Warner Bros. artist Tyrus Wong has died. Wong was the lead artist on Disney’s Bambi and a prolific creator in many other mediums, but he spent decades in obscurity due to racial biases against Asian-Americans. Wong was 106. Born in China’s Guangdong Province in 1910, Wong left for America with his father in 1920 and was forced to leave his mother and sister behind, neither of whom he ever saw again. Getting to America didn’t make things any easier, though, as Chinese immigrants at the time were forced to undergo what the New York Times story calls a “formidable inquisition” before they could be allowed in. Wong’s father was able to get in easily because he had previously lived in the United States, but Wong himself was stuck at San Francisco’s Angel Island Immigration Station for nearly a month while he was being processed. After briefly being reunited with his father (who had to move to Los Angeles shortly thereafter), Wong lived by himself in a boarding house in Sacramento while going to elementary school. It was there that a teacher gave him the Americanized name Tyrus, which he kept for the remainder of his life. At some point, Wong went to live with his father in Los Angeles—”in a vermin-infested boarding house sandwiched between a butcher shop and a brother,” according to the New York Times—and his father began teaching him calligraphy. In junior high, a teacher noticed his talent for art and set him up with a scholarship to attend L.A.’s Otis Art Institute over the summer. He enjoyed being at the school so much that he stayed there for five years and never returned to junior high. In the ‘30s, he and some other Asian-American artist friends formed an organization called the Oriental Artists’ Group Of Los Angeles, which arranged exhibitions for work created by Asian artists. Wong took a job at Disney in 1938 as an “in-betweener,” which basically involves doing all of the monotonous interstitial drawings that make animated films animate. Wong was met with open racism from some of his colleagues and hated the tedious work, but when he learned that the studio was developing an adaptation of the novel Bambi, A Life In The Woods, he jumped at the chance to showcase his skills as a landscape artist. He made a pitch that Walt Disney apparently “went crazy” for, and he was unofficially put in charge of the film’s art and reportedly had a significant amount of influence over the music and effects as well. Unfortunately, Disney fired Wong and a bunch of other animators in 1941 after a contentious strike (one that Wong didn’t even participate in), and his name only appears in the credits of Bambi as a background artist. He later took a job at Warner Bros. and worked there until his retirement in 1968, occasionally branching out to work for other studios, to design art for greeting cards, or to paint fancy dinnerware. His Oriental Artists’ Group was also permanently disbanded in the ‘40s, due to World War II and America’s use of internment camps. In 2001, Disney finally recognized his work on Bambi and named him a Disney Legend, with L.A.’s Chinese American Museum dedicating an exhibit to his work and Disney itself setting up a retrospective in New York’s Museum Of Chinese In America. Wong’s story was told in the 2015 documentary Tyrus. He is survived by three daughters and two grandchildren.